The UAC made its first appearance on Windows Vista and has been around since then. As an administrator, UAC allows you to define the user privileges. It is quite a formidable tool when there are multiple users using the same PC, but not when you are the sole administrator/user. 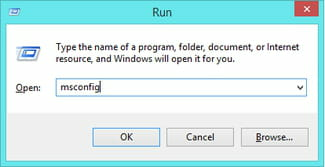 Open the Run tab (Windows Key + R). 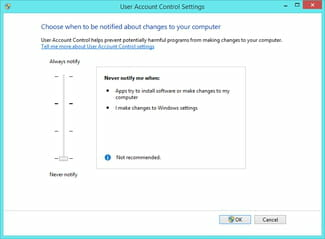 Go to the Tools tab > Change UAC settings. 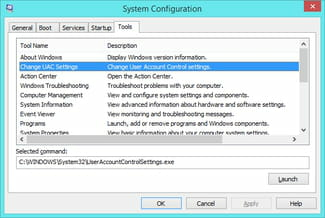 Click on Launch to access the User Account Control Settings dialog. Select "Never Notify" to disable the UAC. Published by deri58. Latest update on August 1, 2014 at 09:08 AM by jak58. This document, titled "Windows 8.1 - Disable the UAC (User Account Control)," is available under the Creative Commons license. Any copy, reuse, or modification of the content should be sufficiently credited to CCM (https://ccm.net/).